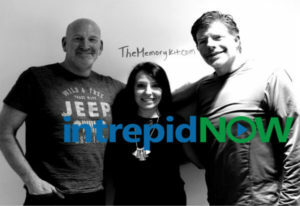 Joined in studio today by Jeff Gray, Founder + CEO of The Memory Kit. The Memory Kit is a way to revel in the amazing life and legacy of a person with Alzheimer’s or dementia. It’s the archive, photo album, campfire story, recipe book, art gallery, soundtrack and laugh-track of a friend or family member―created by and shared with all of the people who love them. 1. What is The Memory Kit? 2. What led you to create the product? 3. What are the problems facing families dealing with Alzheimer’s and dementia? 5. How will The Memory Kit help? 6. When will the product be available? 7. We discuss the mobile launch coming very soon! Jeff’s background is an unlikely mix of technology, innovation and entrepreneurship, combined with a lifelong dedication to helping others. He moved to Atlanta from Los Angeles in 1999 after he sold his first company, Priority Valu-Check Systems, to RealEstate.com. After learning to like sweet tea and discovering real barbecue, he quickly became immersed in the Atlanta community. In 2002, while running a successful consulting practice, Jeff began volunteering at a small nonprofit called City of Refuge that helped individuals and families from the most disadvantages parts of the city, and ultimately left the for-profit world to help lead and grow that organization into what has become a model agency for the delivery of services to those living in communities in crisis. 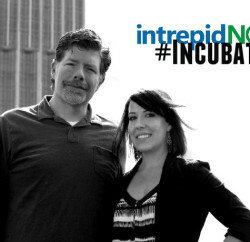 After completing his work at City of Refuge, Jeff went on to consult with numerous early stage tech companies. After losing his mother to Alzheimer’s in 2016, he founded The Memory Kit with a mission to help other families, friends and caregivers impacted by the disease. Jeff earned his college degree at the University of Southern California, is a former chef (founder of the 180 Degree Kitchen at City of Refuge), avid runner, sport climber and all around fitness nut. He is the father of Maxwell and Ginger Gray, who both attend the University of Georgia.